Finding the right affiliate marketing program may seem like a daunting task due to the sheer number of them. It’s certainly not uncommon for people to excessively spin their wheels on affiliate marketing and not make any substantial amount of money. How can a brand new affiliate marketer be assured of picking the right affiliate program, while avoiding those that will be a waste of time? There are several qualifying factors as well as red flags that can steer you toward or away from affiliate marketing programs. The programing behind a good affiliate marketing will run smoothly. The technology behind the program should be generally glitch-free and user-friendly. Allow for a slight learning curve, especially if you are a beginner. 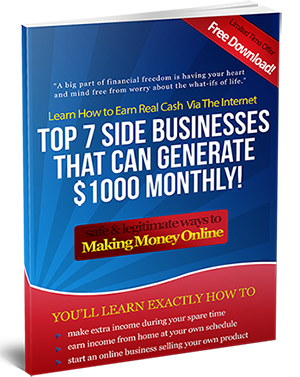 If, however, the program is repeatedly frustrating and unreliable, move on to another affiliate marketing program. The program you are considering should be backed by a reputable service team knowledgeable about the program, the product or service, and affiliate marketing in general. The support staff should be available to assist marketers with their questions and problems. You should be able to locate contact information easily. If you are new, you might want a program with a basic training course. A strong support team is beneficial for both you and the program managers, as they get paid for more product sales and you earn more commissions. The product or service you will be advertising as an affiliate should be one that fits with your ethical standards of quality. It should also be reasonably priced and readily marketable. Demand a high level of performance and integrity from any product or service you promote. Purchase the product or sign up for the service to now exactly what your customers will be receiving. Assess the market to determine how difficult it will be to sell the product or service. A product that already has a ready market will be easier to market and faster to sell. If the field is already saturated with competition, you may wish to try something a little less competitive. On the other hand, if you have a strong readership, competition will not affect you as much. Maximize your earning potential by finding an affiliate marketing program that offers a high payout for the work you do on their behalf. The affiliate sign-up page should indicate either the commission rate, the conversion rate, or both. The commission rate, or amount you will receive of each sale, should hover at or above 50% for most products or services. The conversion rate, or ratio of people you drive to the sales page who make a purchase, should also be high. If for some reason the conversion rate is not indicated on the website, then make sure you contact the affiliate manager for this important piece of information. Resist the urge to bite at every program you see. Investigate the program thoroughly. Take the time to locate the program best suited to your unique circumstances. Doing some legwork in the beginning will make your marketing job run more smoothly and your overall experience with the affiliate marketing program more successful.